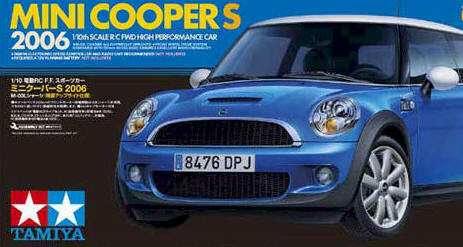 The 2007 model year saw the release of a re-engineered MINI, which many have unofficially dubbed as the Mk.II MINI. Although it looks similar to the first generation MINI, it uses completely new body panels and also features such cosmetic changes as repositioned turn signals and new front grille. The Cooper S is the top-of-the-line model and is powered by a turbocharged 175hp 4-cylinder engine mated to either a six-speed manual or automatic transmission. The engine also has a unique Overboost function that pumps out more torque when it is needed, giving the car performance to match its sporty image. ★ Compact M-03L chassis features front-mounted motor and front-wheel drive, just like the actual MINI, to enable realistic handling. ★ Easy-to-assembly monocoque frame is made from durable resin material. 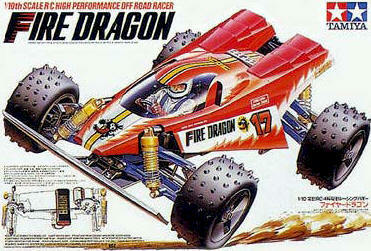 ★ 4-wheel independent double wishbone suspension helps produce nimble cornering. ★ New body parts made from lightweight polycarbonate accurately reproduce the subtle changes of the MINI Cooper S 2006, including hood scoop and wing. ★ Separately-molded parts for side mirrors ensure sharp detail. ★ Stylish wheels equipped with synthetic rubber radial tires. 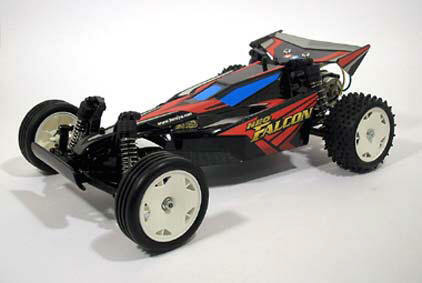 The latest addition to Tamiya’s lineup of R/C off-road buggies using the proven DT-02 2WD chassis is the Neo Falcon, which continues in the direction of adapting popular Mini 4WD PRO products into 1/10 scale R/C cars. This gives kids who enjoy Mini 4WD an easy way to naturally progress to the next level and it also provides parents who enjoy R/C with a way to connect to their kids and share the hobby with them. ★ 1/10 R/C off-road buggy assembly kit based on the user-friendly DT-02 2WD chassis. ★ 4-wheel independent double wishbone suspension with oil dampers provide stable handling. ★ Adjustable suspension upper arms enable easy customization of camber angle. 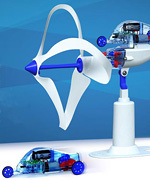 ★ Gearbox is completely enclosed to protect from interference by dirt and debris. ★ Full ball bearings reduce friction loss for greater power transfer efficiency. ★ New body shell is inspired by the futuristic Mini 4WD PRO car and is made from durable lightweight polycarbonate material. ★ White Astral Dish Wheels are equipped with grooved front tires and spiked rear tires. Tamiya’s Fire Dragon was a popular R/C off-road buggy that was produced in the late 1980s. The chassis was an evolution from the Thunder Shot chassis and featured a more conventional 4 oil damper suspension instead of the previous front mono-shock system for improved off-road handling. R/C fans who dreamed about owning this buggy as children have now grown up, and Tamiya is about to make their childhood dream a reality. We are proud to announce that the Fire Dragon will return in its original form. ★ Nostalgic 1/10 scale R/C off-road buggy assembly kit. ★ Shaft-driven 4WD chassis features durable monocoque frame and a chassis cover to help safeguard internal mechanisms. ★ Front and rear gearboxes are fully enclosed to prevent interference from dirt and debris. ★ Differential gear ensures efficient power transfer from the motor. ★ 4-wheel independent double wishbone suspension equipped with 4 oil dampers. ★ Distinctive body shell locates the driver’s cockpit near the nose and is made from tough lightweight polycarbonate. ★ Driver torso figure is included for a touch of realism. This entry was posted in Future Releases on November 27, 2007 by admin. Update November 21st highlighted in red. Update November 23rd highlighted in yellow..
Update November 25th, added some photos. Update November 27th highlighted in green. 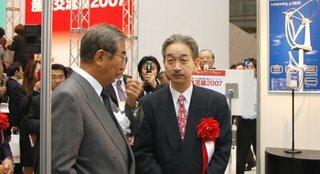 List, details and photos will be permanently updated. This entry was posted in Future Releases on November 9, 2007 by admin. 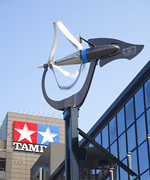 This entry was posted in Event Report, Tamiya Company on November 5, 2007 by admin.